I am so excited - I have a minor renovation starting next week! Woo hoo! It has been almost 10 years since we moved into our house and we have loved every minute here. Although the house had great bones, there were a few things that needed to change to make it ours. 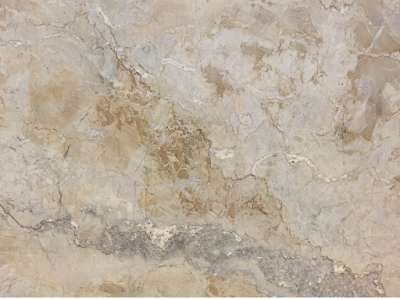 One project was a new colour palette for the main floor and a kitchen refresh. 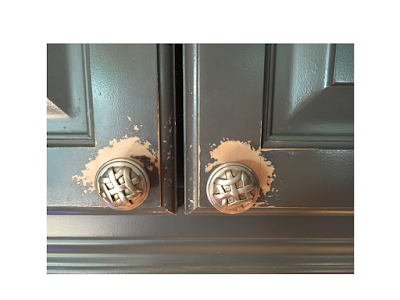 The high end cabinets were in great shape but the original pinkish colour had to go. 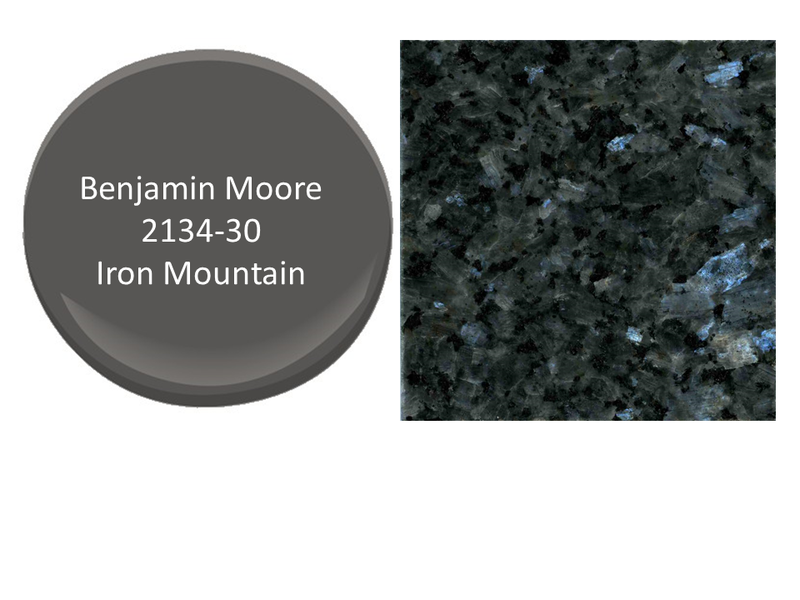 Working with the existing granite - " Blue Pearl"- we selected a dark grey paint for the cabinetry. We also decided to remove some uppers around the window and extend the uppers above the range to the ceiling. I loved the new look of the kitchen and it has served us well. But after almost 10 years, it was in need of a new coat of paint. So if you are going to paint, I told my husband, why not change the colour and create a whole new look? And that begins the domino effect. If I am going to paint the walls and cabinetry a lighter colour, the counter top needs to change too. And besides, I have always hated having the sink in the middle of the peninsula. With a new larger counter top, I can shift the sink into the corner. We also need a new fridge and range and now is the time to shift the dishwasher beside the sink where it belongs. And to create a more updated look, we will remove more uppers ( gasp!). Here's a look at our new paint colours and beautiful quartzite counter top. The kitchen people are coming on Monday so I will be spending the weekend cleaning out the cabinets. We will be living in a mess for 3-4 weeks but I couldn't be happier! 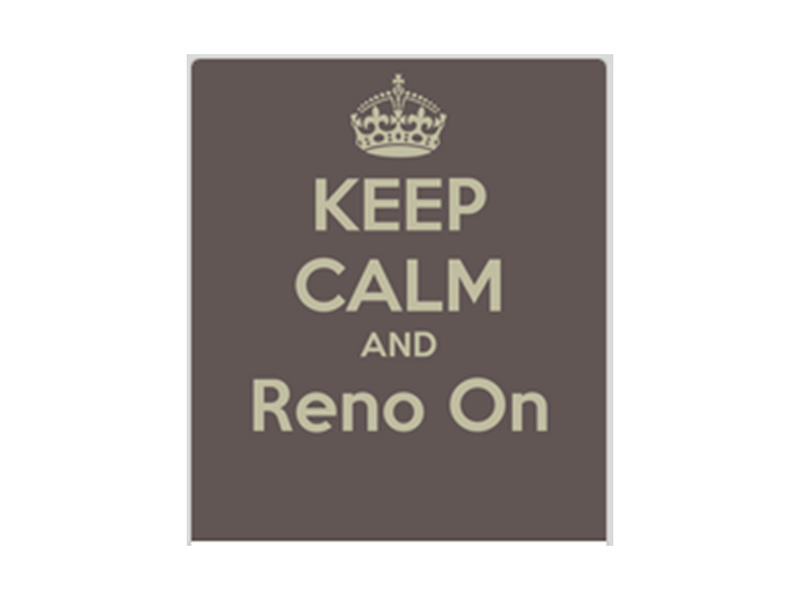 Stay tuned for reno updates!